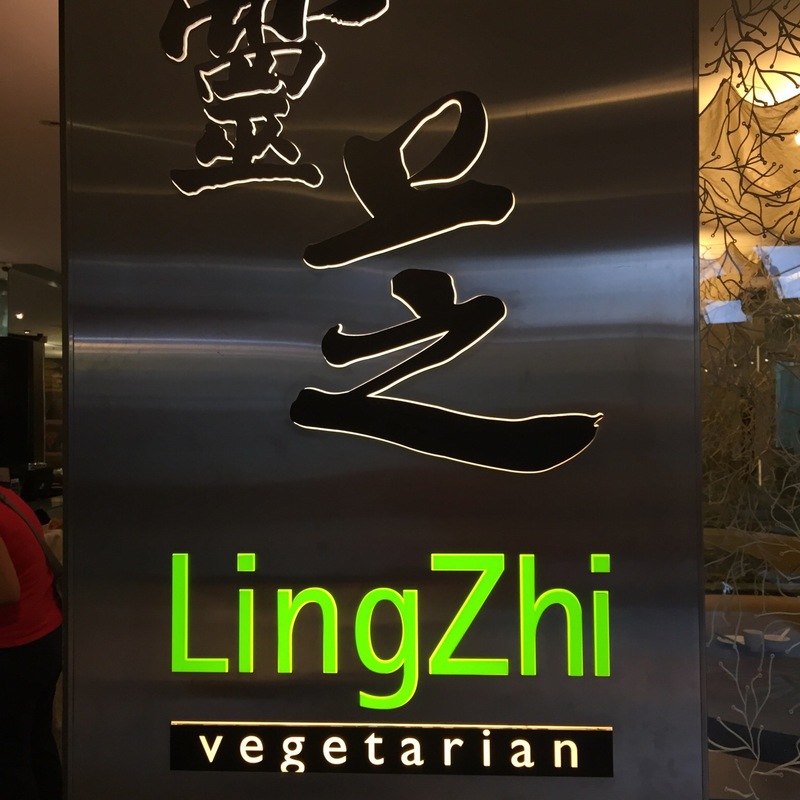 It was my birthday at we decided to go for some light lunch at Ling Zhi | 灵芝, the vegetarian restaurant. We were craving for their vegetarian rojak, and I was trying to cut down the calories as well as sugar, salt and fat intakes. 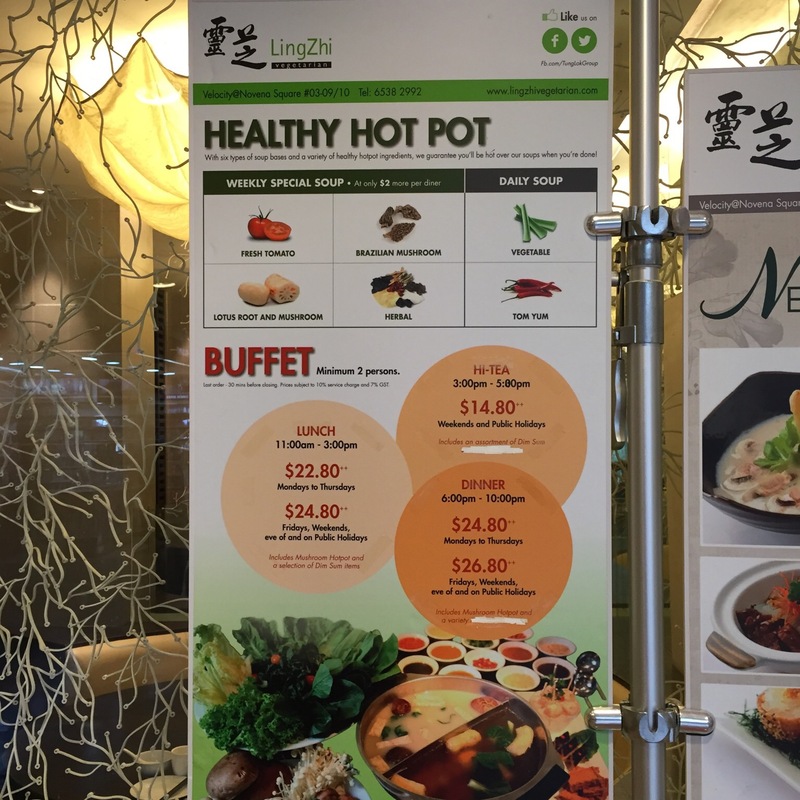 LingZhi offers both a la carte vegetarian dining (quite good) and a buffet steamboat options. 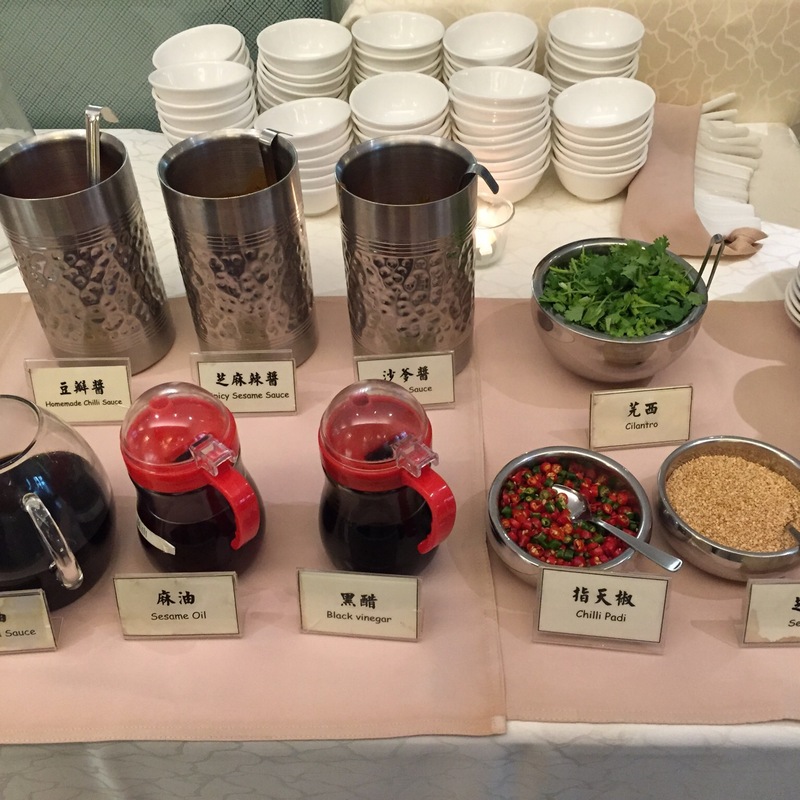 The buffet spread came with a cooked food section featuring vegetarian dim sum, and for lunch, a vegetarian rojak. That was what we came for – the rojak that could fool the majority even though it was done without prawn paste. Again, condiments have been vegetarian-ized. Including a very tasty satay sauce. But I think satay sauce does not have have non-vegetarian ingredients in the first place. The vegetarian curry has a very homely taste. It was how my mom would made it. We used to sell vegetarian beehoon and curry at a temple for Vesak day to earn extra pocket money during our hard days. This curry reminded me of those times. 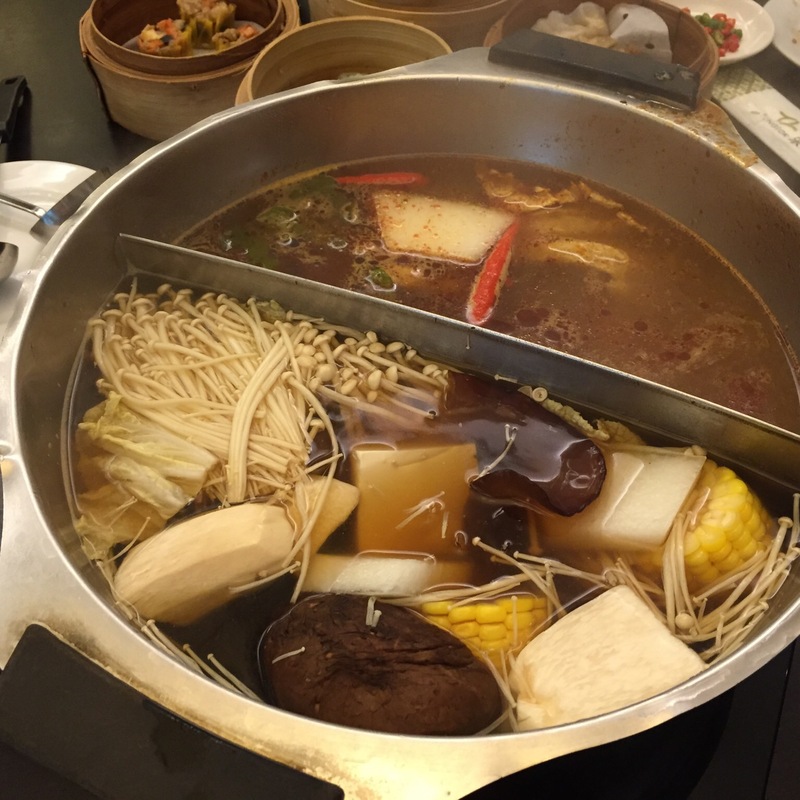 Steamboat comprising of mushroom soup and tomyam soup. The tomyam base was much better. The mushroom soup base was just a lot of mushroom soup powder.